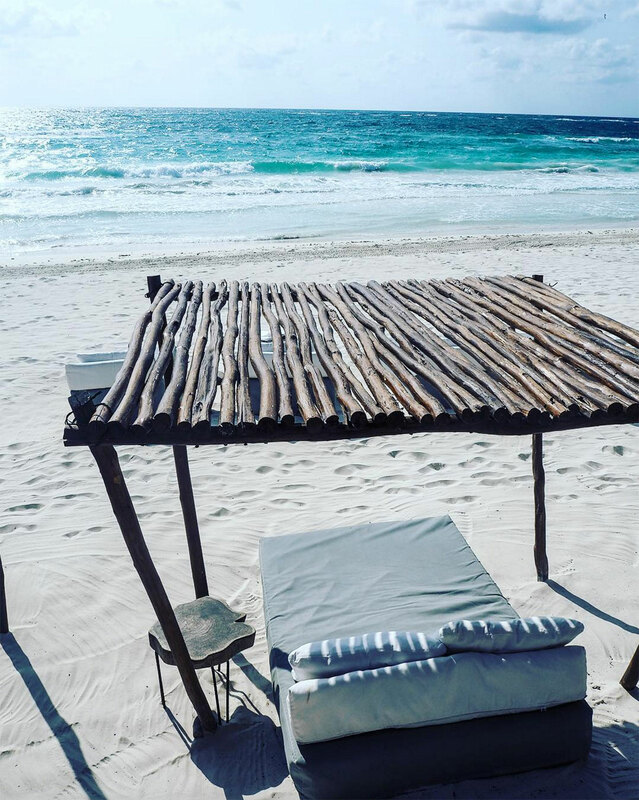 While the Caribbean turquoise waters of Tulum are no longer a wanderluster’s secret, the Mayan Peninsula paradise is still a holistic hideaway for wellness warriors and wanderers alike. 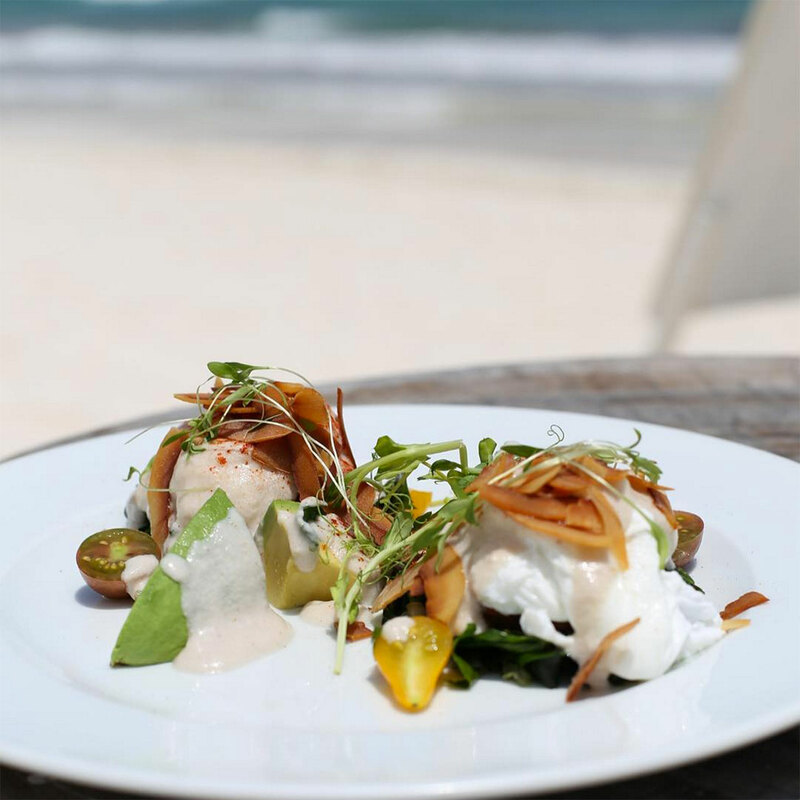 Showing no signs of being overrun by environmentally burdensome hotels or taking the Ibizan clubland route, Tulum remains an uncluttered and inviting destination for haute hippies, day trippers and the style set. 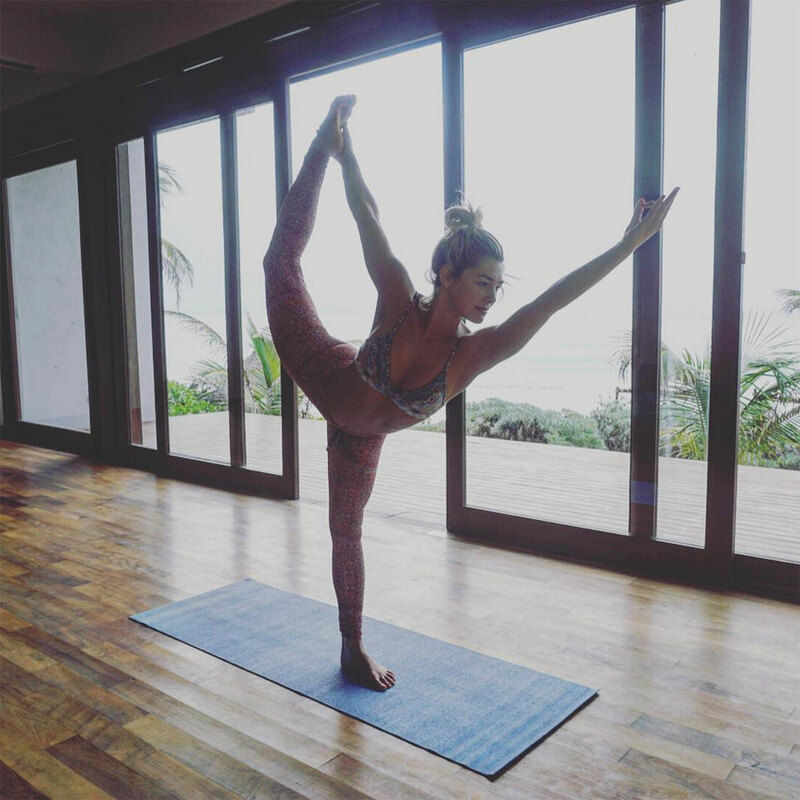 Fashion industry regulars flock to its ecological resorts for yoga retreats and dietry cleanses, and former models have set up restaurants and boutiques along the creamy-sanded beach strip. GRAZIA found the ultimate location to stay, Sanará Hotel, checking in to find Aussie girls, model and yoga teacher Ashley Hart holidaying and TV presenter Renae Bargh, at the end of a girls’ trip. 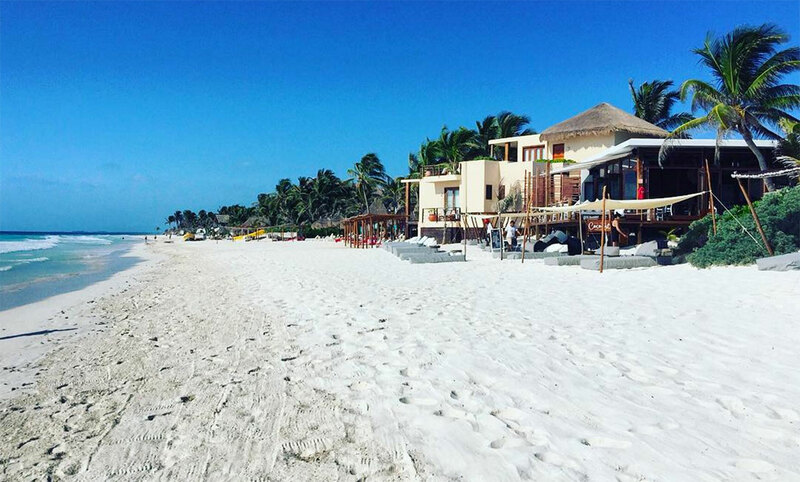 Owners Charlie and Daniella, like many other visitors to Tulum, felt such a deep connection with the creamy sands, salty air and Mayan culture when they first ventured here that plans for their 17-room ecological resort were soon under way. 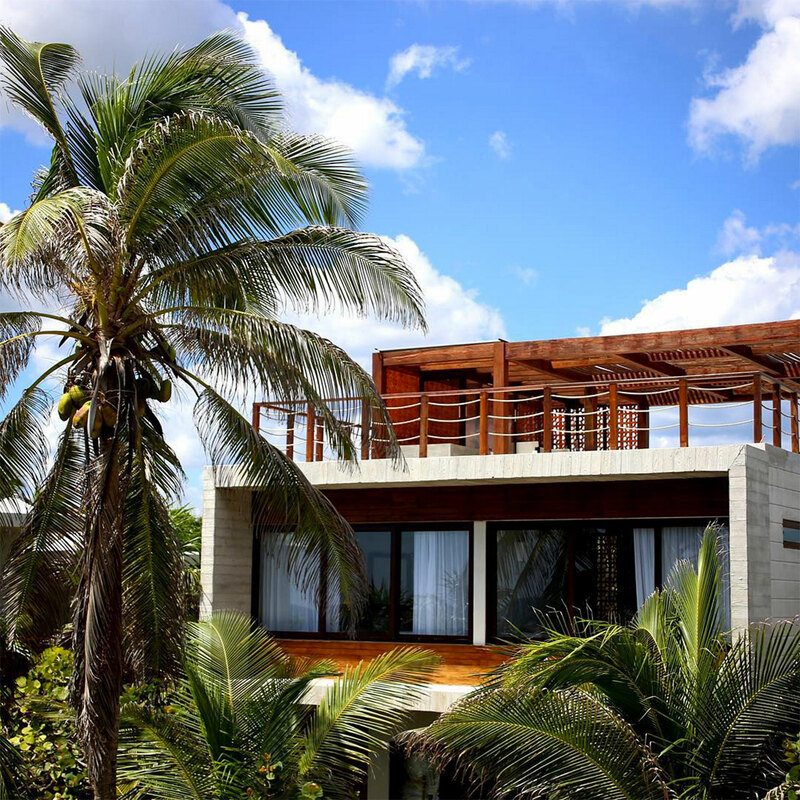 Opening in December 2014, the property features a yoga studio that also plays host to photo exhibits and TEDx talks, a wellness centre with massage, facial and vibrational sound treatments and beachside restaurant, The Real Coconut, that has become a food destination for in and out-of towners. 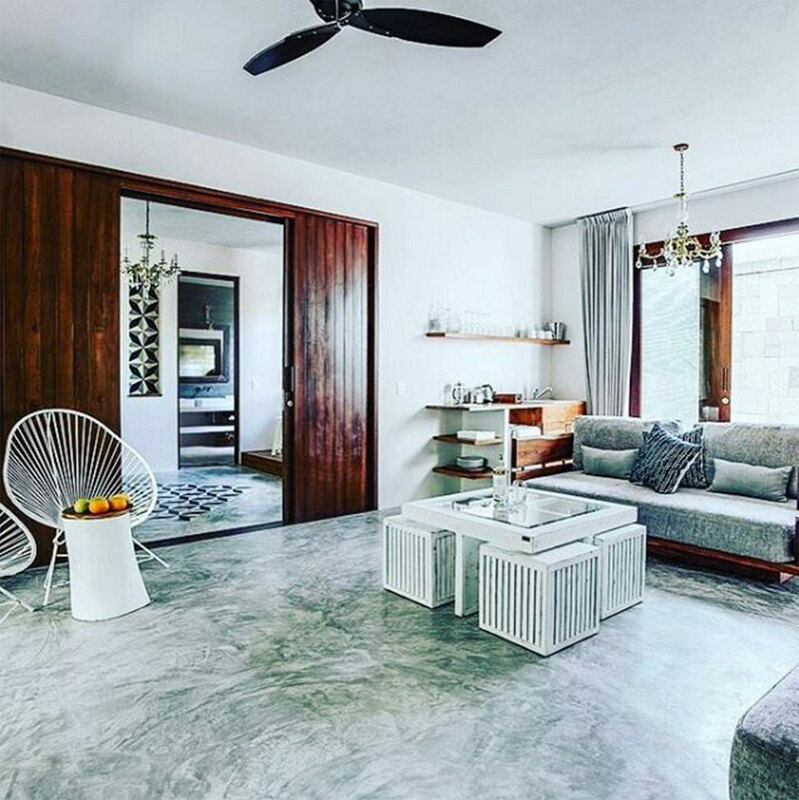 Minimalist architecture meets naturally-hued furnishings and traditional finishes. 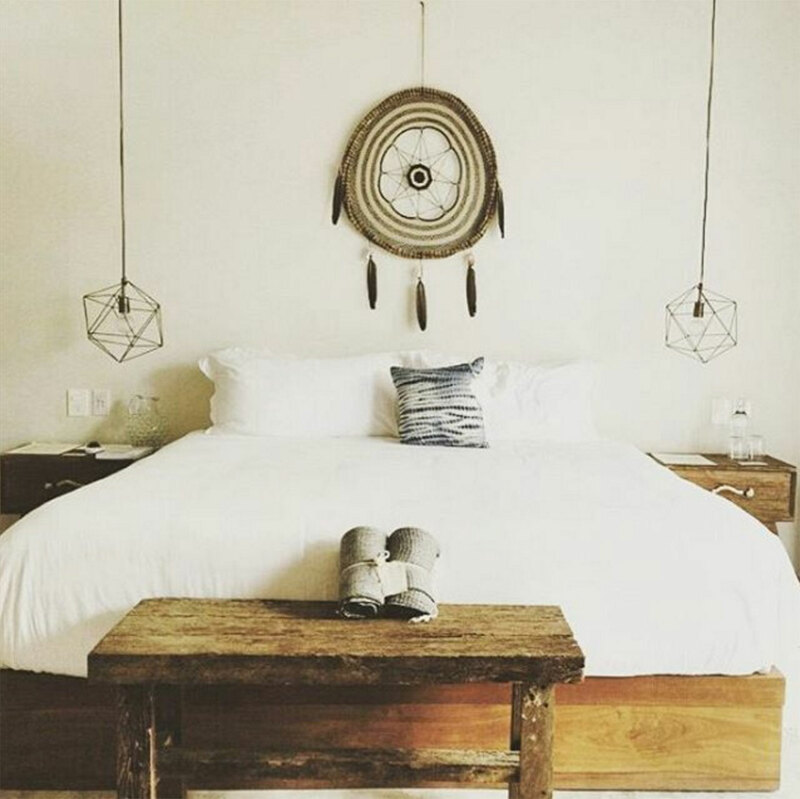 A Mexican dream catcher is a wall hanging focal point, while chrome caged drop lamps light the bedsides and a chandelier dangles above an inviting day bed. A back deck complete with a hammock and claw foot freestanding bath add relaxed luxe to the spacious real estate. Bathrooms are complete with organic lavender soap and renewable shampoo and conditioner bottles filled with Sanará’s signature hair washing product. The Real Coconut has the best wellness menu I’ve ever come across. The menu consists of easily digestible dishes made from locally-grown produce and created by co-owner Daniella Hunter who sees it as a combination of paleo and vegan ingredients. For breakfast there are egg dishes complete with gluten-free or grain-free toast, delicious fruit and coconut yoghurt bowls and the fluffiest pancakes. During lazy afternoons I snacked on tortilla’s made from coconut flour with chunky guacamole, coconut quesadilla’s, super green bowls tossed in tahini dressing. Dinner choices include mouth-melting local fish ceviche, seafood tacos, barbecue chicken and mahinga fries. And the drinks menu is endless with pressed juice options, sensational smoothies, a chai tea I simply could not get enough of and of course, margaritas. Comprised of five specialised treatment spaces, the wellness spa serves as a place of healing and relaxation. Mayan healing treatments pair with acupuncture, reflexology, facials and massages. You can also book in for between three and seven-day detox and energy enhancing programs. Every morning I’d walk the 50 metre sand pathway, through coconut palms, to the beach. And there would be my very own cabana with a chalkboard “Reserved for my friend Kelli’. With no early morning sunbed stealers to fight off, I could venture to breakfast at a leisurely pace, knowing my double sun bed was waiting for me anytime I chose to lay my Turkish towels down and recline in between swims and sandy-toe excursions. 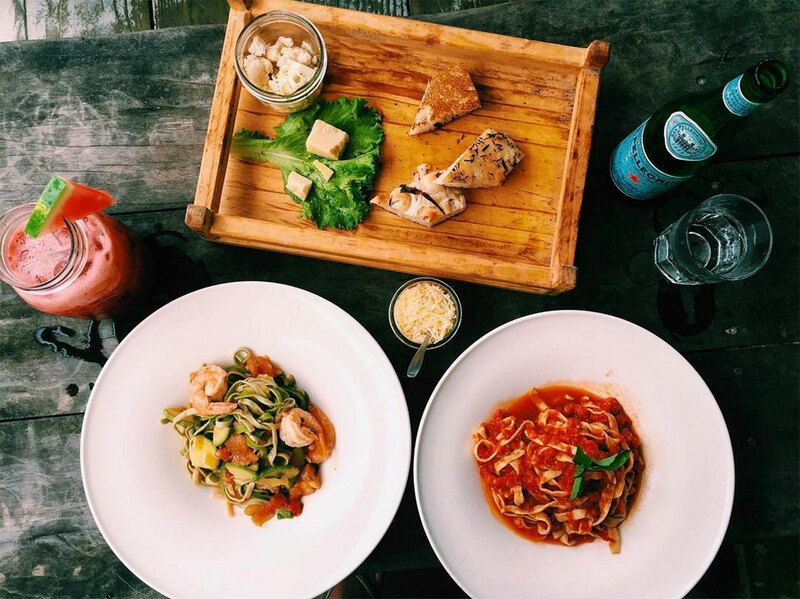 The freshest focaccia and homemade pasta this side of the Amalfi Coast. 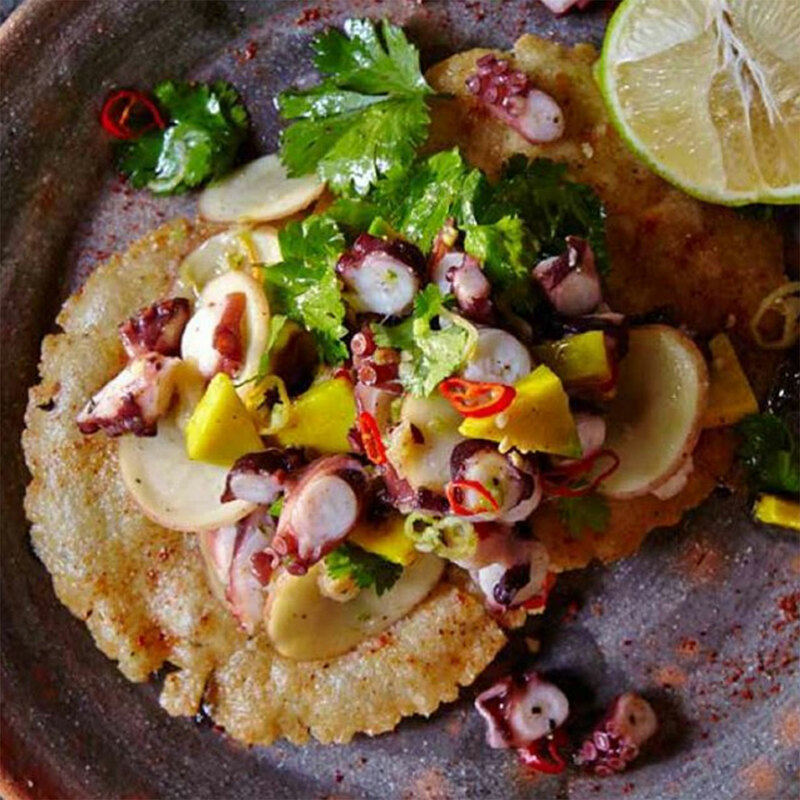 Yes, you’re in Mexcico, but when you tire of tacos head to this sandside residence and restaurant for a hearty Italian meal. Open from morning to midnight, they serve up tasty Argentinian-flavours for breakfast lunch and dinner. 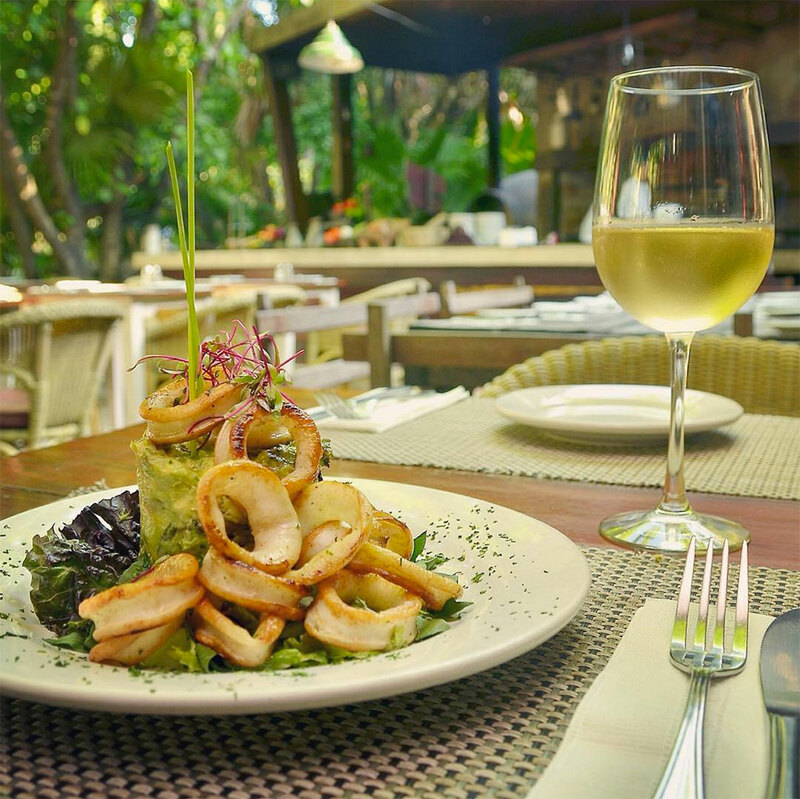 Get there early, this ‘it’ restaurant on the jungle side strip is where Tulum’s cool crowd dine out. The place to seek out a Mayan temazcal, energy therapies and vibrational healing when you need a break from sun soaking. 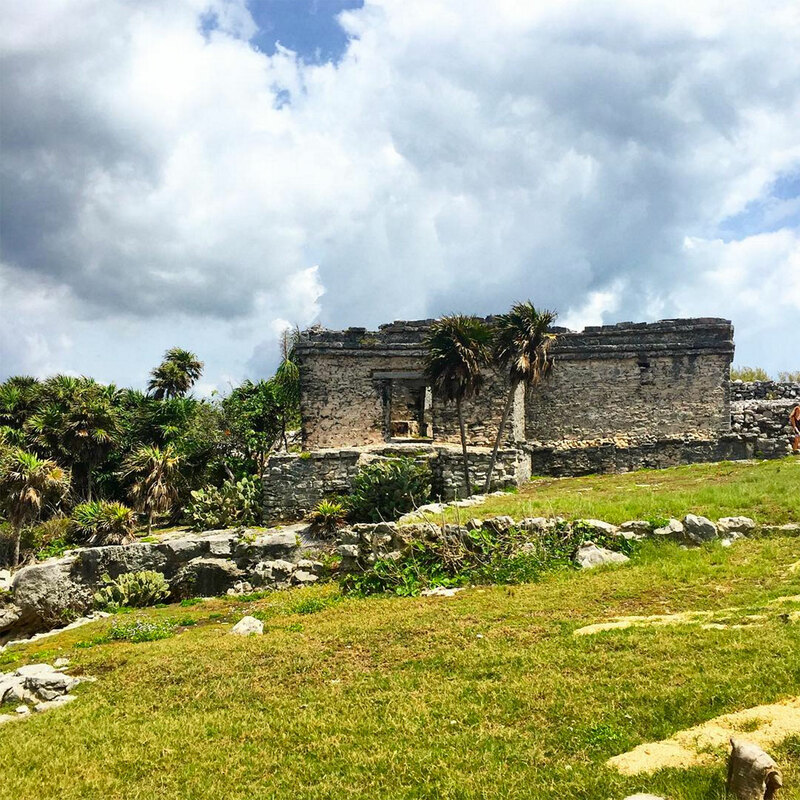 Tulum was one of the last cities built and inhabited by the Maya. The archeological ruins sit atop cliffs that face the east coast of the Yucatan Peninsula on the Caribbean Sea. Bring your bikini for a dip at the private beach below the ancient Castillo. 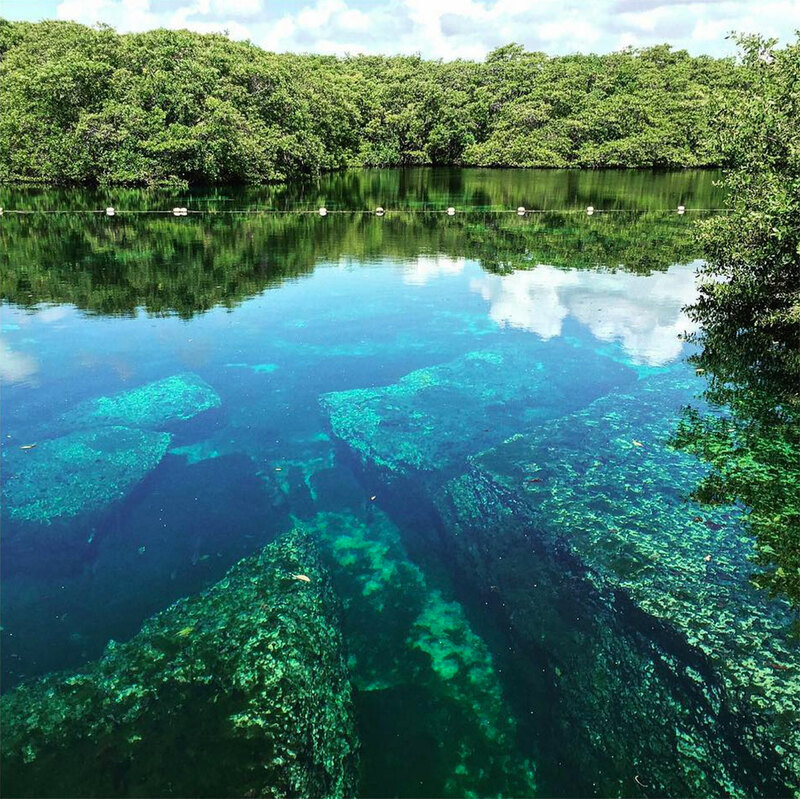 Marvel at the jungle canopy overhead as you cool off in these crystal-clear water caves – formerly sacred sites to the Mayans. Kelli Armstrong has 15 years’ experience working on women’s lifestyle titles in Australia, the Middle East and United States. She started her career as a stylist, but couldn’t ignore the drive to put pen to paper. Since graduating with a degree in journalism she’s interviewed supermodels, actresses and rock stars, produced photo shoots around the world and written voraciously about lifestyle, health and wellbeing, fashion and beauty, travel and relationships. Now based in New York City, she also shares these passions in her blog, Health Bird and on Instagram @health_bird.